The archetypes are old, but the decks are fresh. 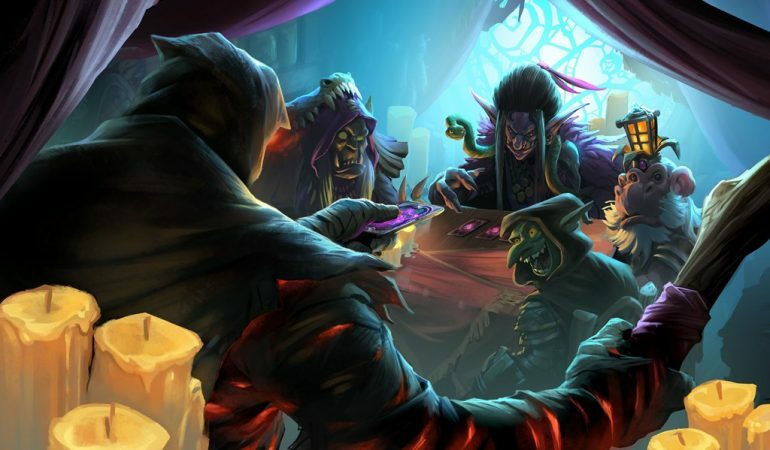 Although a new Hearthstone expansion is always exciting thanks to all the new deck ideas, crafting those new decks gets expensive. Thankfully, there are a number of old archetypes with decks that are relatively inexpensive and still viable in their Rise of Shadows form. Zoo Lock is an archetype that will more than likely never die. Thanks to the built-in card draw, Warlock gains from its Hero Power, gathering a hand full of low-cost minions will never be an issue. Since Genn and Baku no longer exist in Standard, this means Zoo Lock won’t be able to take its previous Odd or Even form. Instead, Zoo Lock now works by housing a variety of low-cost Demons and using them to shred your opponent’s face as fast as possible. The new version of the deck also runs Arch-Villain Rafaam as a mid-to-late game win condition—but if you don’t have Rafaam, the deck will still suffice. When it comes to Zoo Lock, replacing cards you don’t have is easy because you just look for a Demon with similar stats. Make what you can of this list, then fill in the blanks with your favorite low-cost, high-value minions. Another archetype that just won’t quit is Burn Mage. Thanks to many of the cards associated with its basic set, Mage always seems to have some sort of burn option available. Luckily for the Mage fans out there, Rise of Shadows is no exception. While the new list does contain a few new cards, the majority of the deck is made up of cards most Mage mains will already have in their collection. 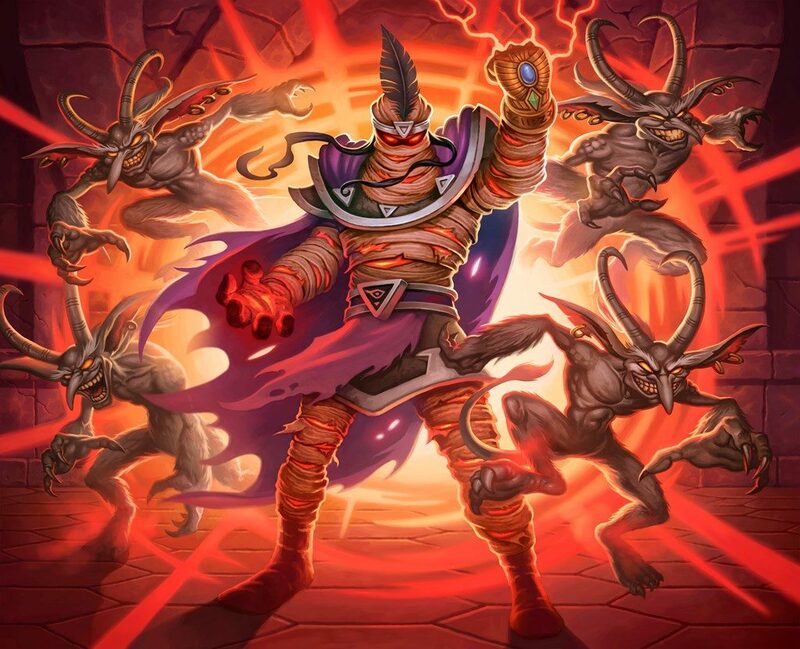 The deck makes use of classic Burn Mage cards like Fireball, Frostbolt, Cinderstorm, and Leeroy Jenkins. You’ll also be running Sorcerer’s Apprentice and Archmage Antonidas for the classic Fireball generation combo. Give this version a try while we wait on the final version of Burn Mage to develop. Although it didn’t see much action in the months leading up to Rise of Shadows, Murloc Shaman has returned in a big way during the first few days of the expansion. Even though you probably weren’t playing Murlocs over the past few months, if you ever played a Murloc deck, you probably have the mainstays collecting dust somewhere in your collection. The new version of Murloc Shaman introduces a few Murlocs that are relatively cheap to craft. But the most expensive card in the deck is the new Legendary minion Scargil. While Scargil does provide big value to the deck thanks to his game-breaking effect, Murloc Shaman can still put out some serious damage without him. As long as you have a few Murlocs and a Bloodlust, Murloc Shaman should net you a few fun wins this week. Since the expansion is merely days old, it will take some time to know which decks can be considered top tier. Remember to craft with caution during the early days of the expansion. The meta is changing by the day, so there’s no point in wasting dust on a card that’s considered trash three weeks from now. Rise of Shadows is live now, so get out there and start slinging spells.